Visitors to the Logs End showroom are astounded when they see French Cut European Oak flooring for the first time. We often hear comments including “Is this real wood?”, “How did you make the wood look like that?”, “How did you cut the wood to make it show all these patterns?”. The truth of the matter is the European cut brings out a level of character not often seen in other flooring on the market. What Is “French Cut” or “Euro Oak”? Both terms refer to a variation of live sawn cutting, where the log is cut straight through and each cut is parallel to the last. This method produces a mixture of plain, quarter, and rift sawn wood (approximately a third of each). In this manufacturing method, the first and last few boards are removed to eliminate the plain sawn portion, leaving only a mixture of rift and quartern sawn. 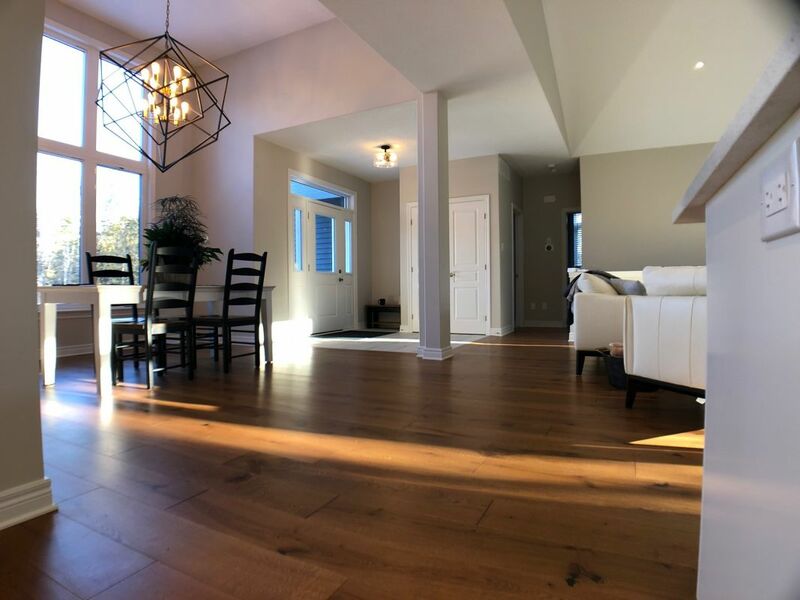 What makes rift and quarter sawn white oak so unique is that the medullary ray and flecking patterns, which often go unnoticed in traditional hardwood floors, are exposed. Not only does the beauty of this natural product shine through, but the super stability offered by the cut ensures the wood can only shrink in thickness, not width. Here at Logs End, we take our French Cut European Oak one step further – we engineer the planks for increased stability and to broaden its range of applications. 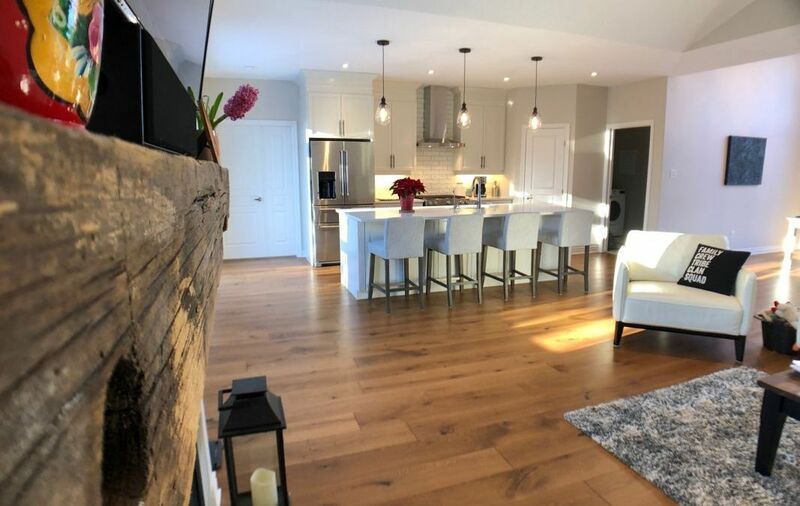 In both residential and commerical settings, the Logs End French Cut Euro Oak can be laid virtually anywhere, including kitchens and bathroom, over concrete and on top of radiant heating. Furthermore, the Logs End team uses natural oils to pre-finish these floors. The oils used are specially designed to compliment the age-old European beauty of French Cut wood. The oil bonds molecularly with the wood making it more durable, not to mention more beautiful, drawing out the natural patina of the wood. The oils used are 100% environmentally sustainable (containing zero VOCs) and unlike standard polyurethane finishes, can be easily touched up and repaired. 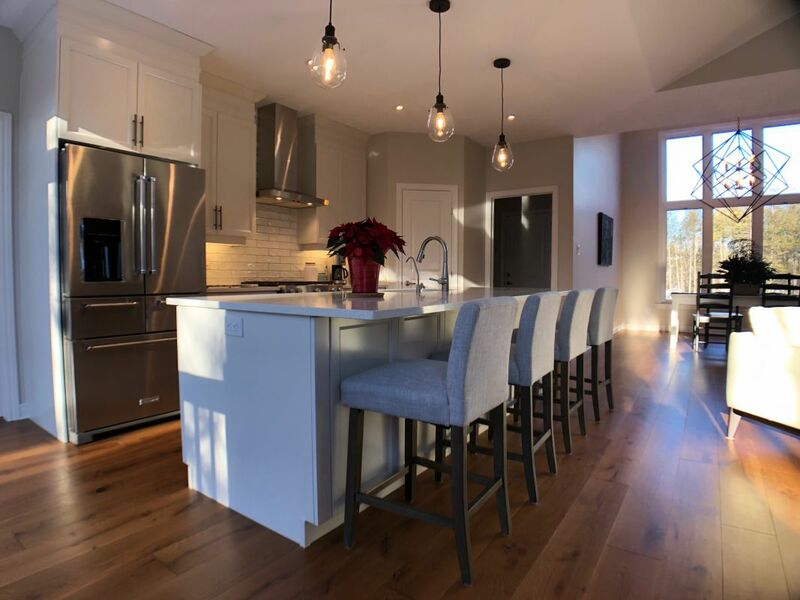 With more people discovering the beauty of French Cut wood, we are always thrilled to receive photos of completed installations. 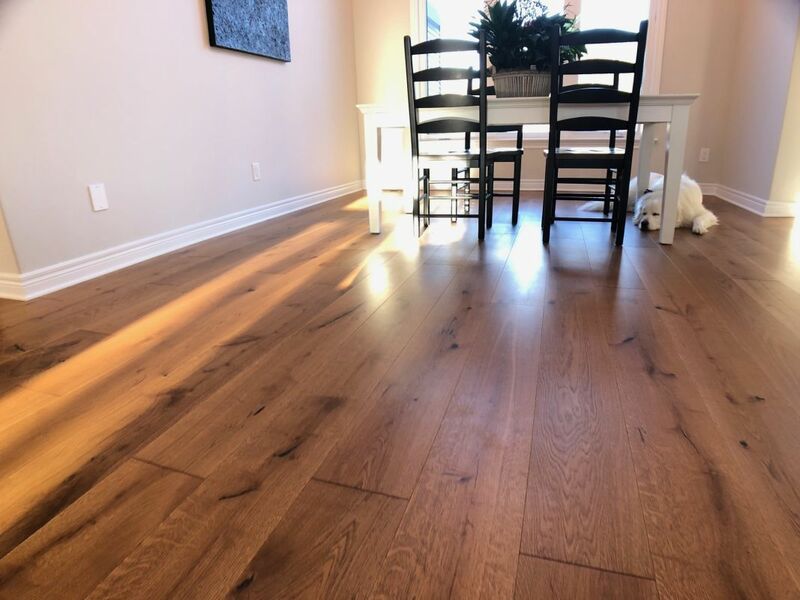 This week, our gallery comes from the Gougeon family – who in lieu of a traditional builder’s flooring product, opted for an upgrade. The flooring shown in all the images is the Logs End 7 ½” x 5/8” Engineered French Cut European Oak, Pre-Oiled in the Bryson finish. 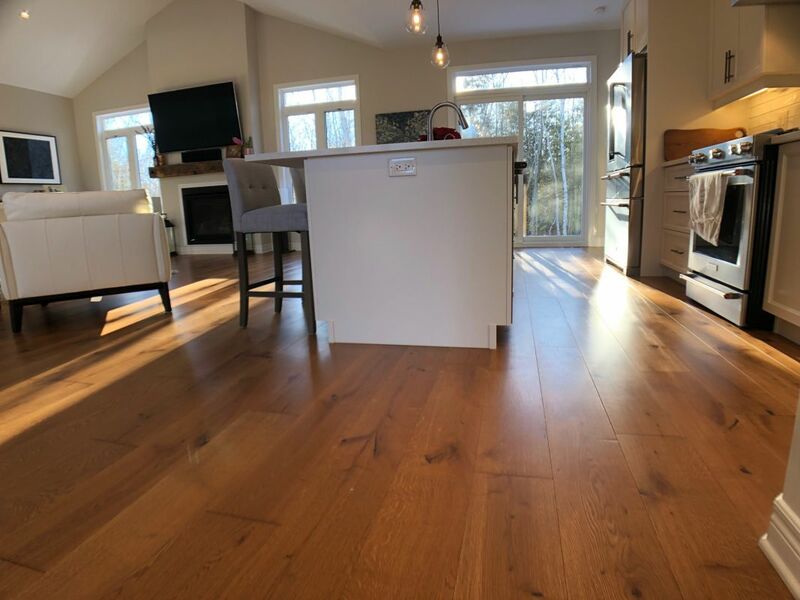 We think the results speak for themselves and we thank the Gougeon’s for putting their trust in Logs End to deliver their new hardwood floors.